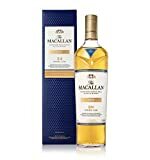 "70cl / 40.0% - A delightful limited edition gift pack containing a 70cl bottle of the wonderful Macallan Gold Double Cask. It also comes with two branded glasses, perfect for sharing said whisky." A new packaging for 2018 on the ever popular and crowd pleasing 12 year old Sherry cask aged Macallan. 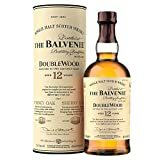 Classic Speyside with soft, creamy and well rounded Sherry wood influence. "70cl / 40.0% - Amber is part of The Macallan's new no age statement range of Speyside single malts, which concentrates on colour. The theory is that by using 100% sherry casks and natural colour, the darker the whisky, the older and more complex."